Countrywide offers a broad range of outstanding ornamental concrete castings from classical figures to modern designs. All our pieces capture the timeless beauty of stone to enhance and charm any garden space. 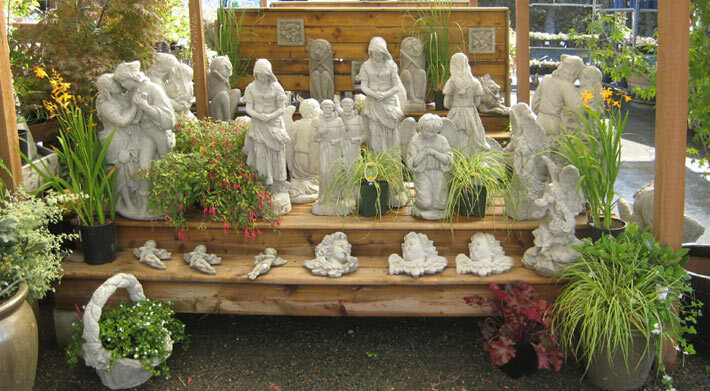 Countrywide Garden Ornaments is a Canadian wholesale statuary company based on Vancouver Island, British Columbia. We have been creating and supplying quality crafted statuary to retailers, designers, and avid gardeners since 1997. Countrywide's statuary is hand crafted with excellent attention to detail. We create our own moulds and produce, design and sculpt unique pieces. Our designs range from functional pieces such as birdbaths, benches, and fountains, to classical Greco-Roman figures, as well as whimsical animals, gargoyles, and fairies and a full Eastern line including Buddhas and lanterns.